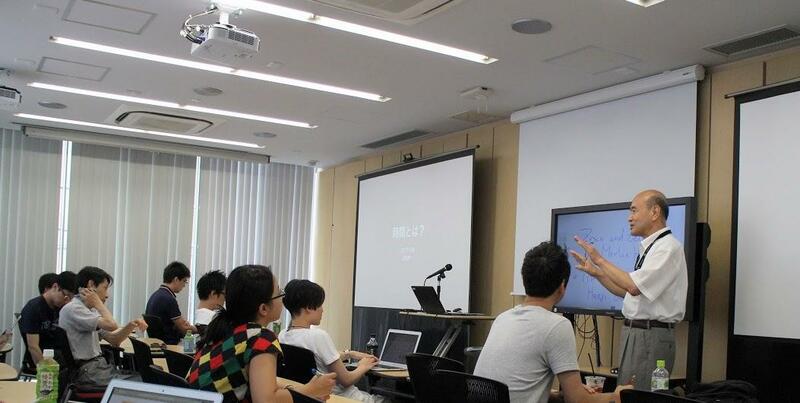 Continuing an opportunity offered last year, six Leading Program students took two courses--"Business Model Development" and "Technological Trends and Project Design"--that were offered every other week at the Graduate School of Project Design in Minamiaoyama, Tokyo, during this academic year. Three more program students attended a special lecture that served as the final session of the "Technological Trends and Project Design" on July 29. The first half of the lecture, which was given by Professor Shuichi Iwata, was entitled "About Time." Professor Iwata explored the transformation in business models that led from the growth of the automotive industry to the production of a Japanese-made airplane. His talk, which included occasional discussion with students, addressed the need for project design to take account of the current shift toward a sustainable society. 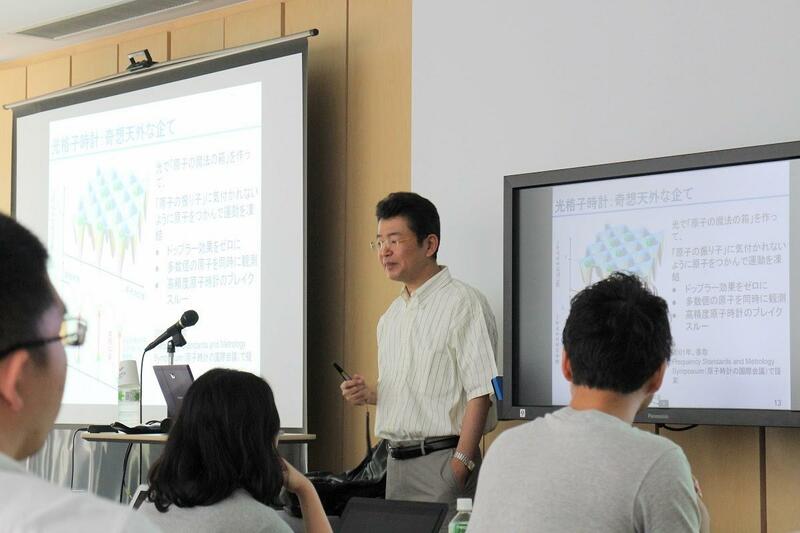 The second half of the lecture featured Professor Hidetoshi Katori of the Department of Applied Physics at University of Tokyo's School of Engineering, who gave a talk entitled "Creating a New Concept of Time with Optical Lattice Clocks." Professor Katori's research involves creating a clock so accurate that it might gain or lose only 1 second in 27.6 billion years (twice the amount of time that has elapsed from the Big Bang until now). As a byproduct of that research, he's also exploring how optical lattice clocks could be used as a new yardstick in the form of a high-precision sensor. The lecture was a valuable experience for students, whom it exposed to the latest science and technology. Courses offered by the Graduate School of Project Design eschew a simple lecture format to incorporate lively discussions among the working adults who enroll in them, and Leading Program students found participating in this unique environment to be extremely stimulating. Recognizing that such experiences are invaluable and irreplaceable, the program plans to continue to pursue exchanges and partnerships with the Graduate School of Project Design in the future.